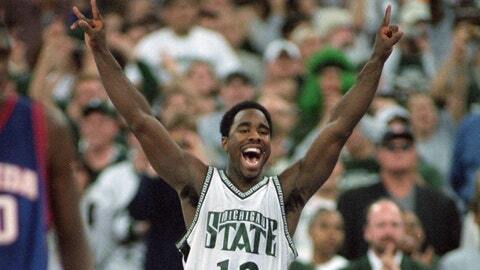 FLINT, Mich. — Prosecutors say former Michigan State University basketball star and television analyst Mateen Cleaves is the subject of a sexual assault investigation but has not been charged. Wayne County prosecutor’s office spokesman Maria Miller confirmed Friday to The Flint Journal that the investigation was transferred to Detroit from Genesee County. Genesee County Prosecutor David Leyton said he decided not to investigate the case because his "family has a relationship with a witness." Cleaves’ attorney Frank J. Manley said his client is aware of the complaint. "We would ask that people reserve judgment until all the facts come to light," Manley told The Associated Press. Cleaves attended Flint Northern High School, led Michigan State to the men’s NCAA basketball championship in 2000 and played in the NBA.